Last weekend I knew I needed to find time to make my Christmas cards if I was going to send handmade cards again. I had a design - and a craft - in mind but hadn't worked out quite how to do that. So given the lack of time I decided to try something else instead. It's always good to have a backup plan! I tested it out and it worked better than I'd hoped. 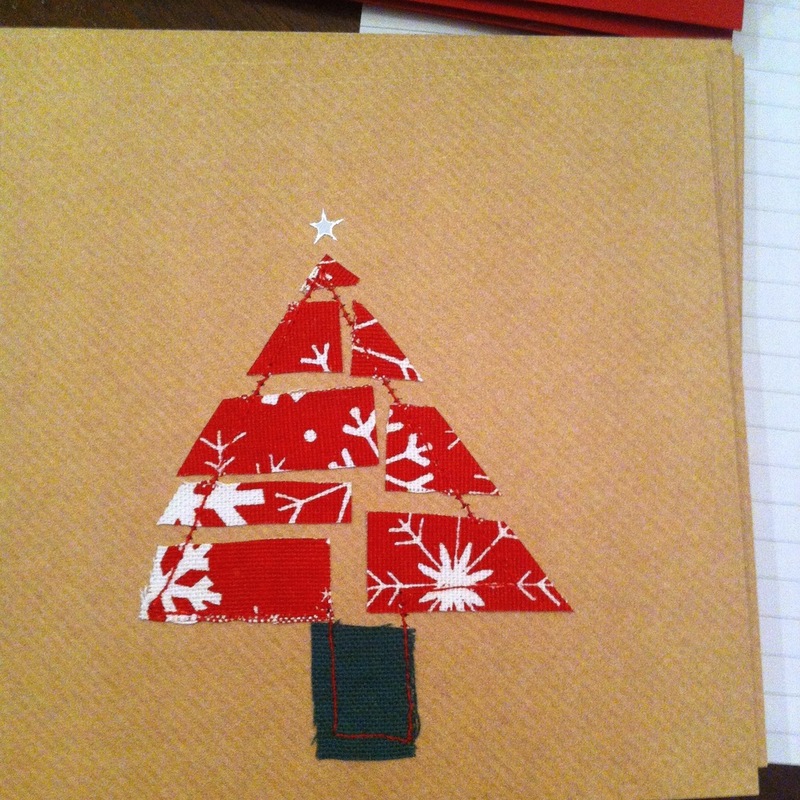 With a plan that works and the motivation to do it I once again found myself making Christmas cards with trees on. Last year there were trees too, and I'm pretty sure there'll be trees again next year, because I want to go back to my original idea. Just as well I like trees really isn't it? This year they all have the same design, although there's still so scope for individuality. I used material scraps and started out by placing the material on the cards, before tacking them down with some glue so I didn't drop them as I moved over to the sewing machine. 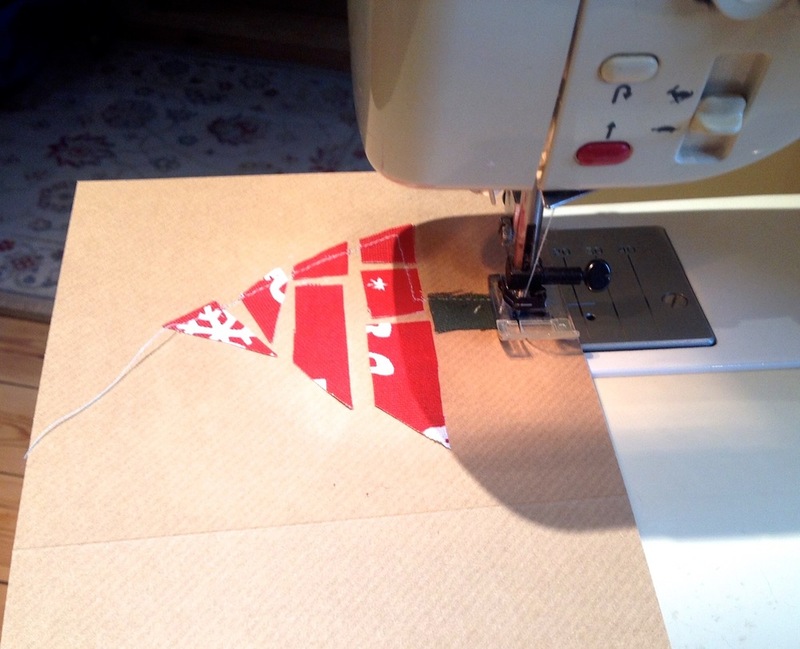 At the sewing machine I added an outline to the tree. I liked them before this, but this gave them the finish I was looking for. I experimented with how to add the stitched outline and found it easiest to do this in a continuous stitching movement. 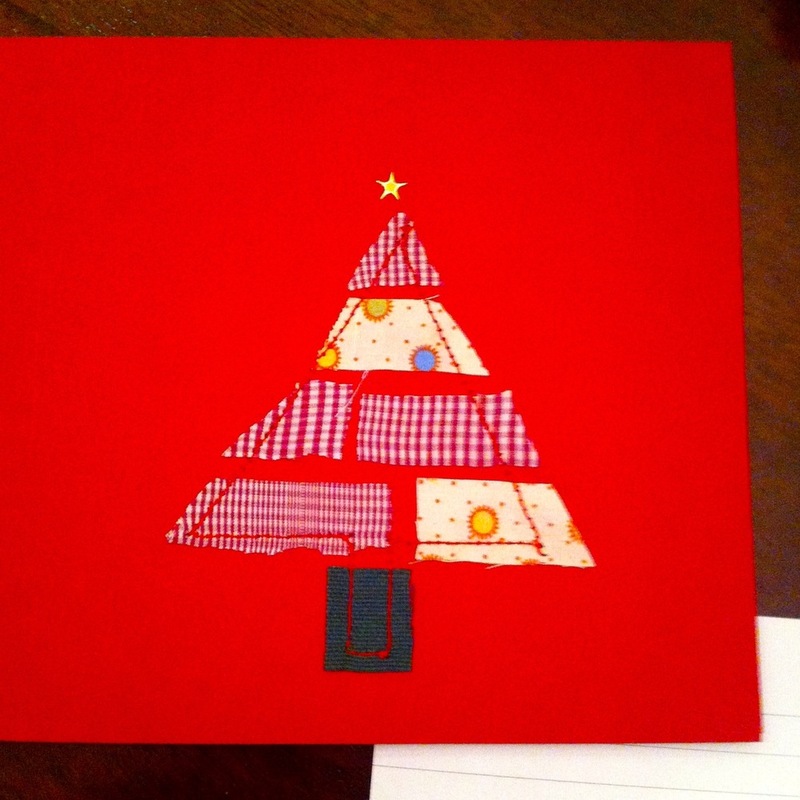 The bonus is this leaves a cute tree shape on the inside of the card too. Then it was time to add a star to the top of my trees, a little sticky star was just the thing. In fact I found this the trickiest and was quite often juggling the stars and chasing them around the card to get them in place. I'm really pleased with how they turned out, and especially how time efficient they were to create. Ah well, until next year when once again I'll plan to start earlier than I actually do! Do you send many - or any - Christmas cards? And do you write the same or a different message in yours? And do you write them or share the task between you?